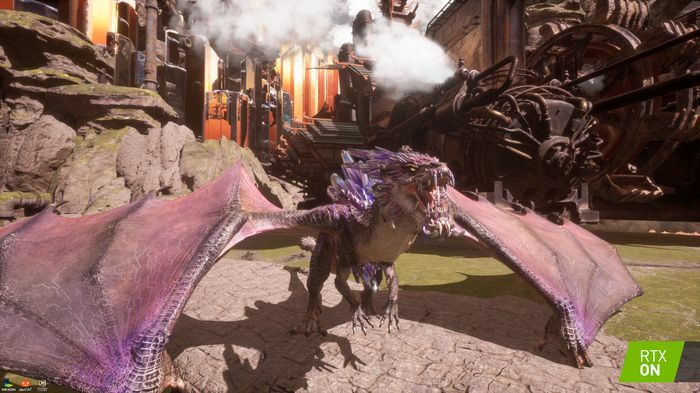 Game Developers Conference—NVIDIA today announced several developments that reinforce NVIDIA® GeForce® GPUs as the core platform that allows game developers to add real-time ray tracing effects to games. NVIDIA’s (NASDAQ: NVDA) invention of the GPU in 1999 sparked the growth of the PC gaming market, redefined modern computer graphics and revolutionized parallel computing. More recently, GPU deep learning ignited modern AI — the next era of computing — with the GPU acting as the brain of computers, robots and self-driving cars that can perceive and understand the world. 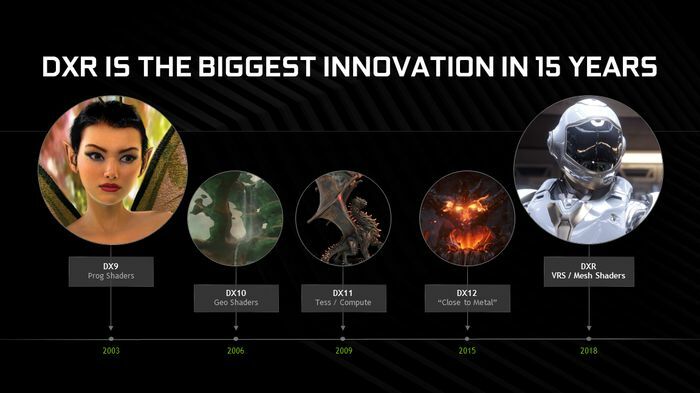 Today, NVIDIA is increasingly known as “the AI computing company.” More information at http://nvidianews.nvidia.com/. 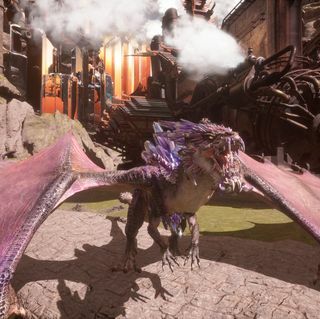 Certain statements in this press release including, but not limited to, statements as to: the benefits, impact, performance, abilities and availability of NVIDIA GeForce GPUs, NVIDIA GameWorks RTX and ray tracing; NVIDIA GeForce GPUs being the core platform to allow developers to add real-time ray tracing into games; the integration of ray tracing into Unreal Engine and Unity and new games showcasing it; NVIDIA adding ray-tracing support to GeForce GTX GPUs and giving developers a massive installed base of tens of millions of gamers; NVIDIA GameWorks RTX helping developers add DXR to games; ray tracing set to change gaming forever and representing a landmark shift in game development; the breadth of industry adoption of ray tracing and number of products that can support it; ray tracing in Unreal Engine and Unity enabling game developers to add ray tracing effects that can be run in real time; the availability of Unreal Engine and Unity; the belief that every AAA title will incorporate real-time ray tracing and the game industry’s belief that ray tracing is the future of gaming graphics; NVIDIA GeForce GTX GPUs expected ability to take advantage of ray tracing supported games; GeForce GTX GPU drivers enabling tens of millions of GPUs for games to support ray tracing which will accelerate the growth of the technology, and give game developers a massive install base and execute ray tracing on shader cores; game performance varying based on ray tracing in the game, GPU model and game resolution; GeForce GPUs providing faster and more visually immersive ray-tracing performance; the games that will be supported; and the new games that are being debuted at GDC and their features are forward-looking statements that are subject to risks and uncertainties that could cause results to be materially different than expectations. Important factors that could cause actual results to differ materially include: global economic conditions; our reliance on third parties to manufacture, assemble, package and test our products; the impact of technological development and competition; development of new products and technologies or enhancements to our existing product and technologies; market acceptance of our products or our partners' products; design, manufacturing or software defects; changes in consumer preferences or demands; changes in industry standards and interfaces; unexpected loss of performance of our products or technologies when integrated into systems; as well as other factors detailed from time to time in the most recent reports NVIDIA files with the Securities and Exchange Commission, or SEC, including, but not limited to, its annual report on Form 10-K and quarterly reports on Form 10-Q. Copies of reports filed with the SEC are posted on the company's website and are available from NVIDIA without charge. These forward-looking statements are not guarantees of future performance and speak only as of the date hereof, and, except as required by law, NVIDIA disclaims any obligation to update these forward-looking statements to reflect future events or circumstances. Nexon’s upcoming online action RPG monster battle game, Dragonhound, will feature real-time ray-traced reflections and shadows. When programmable shaders were introduced more than 15 years ago, they changed gaming forever. Today, real-time ray tracing is set to do the same thing — it represents the next landmark shift in game development. 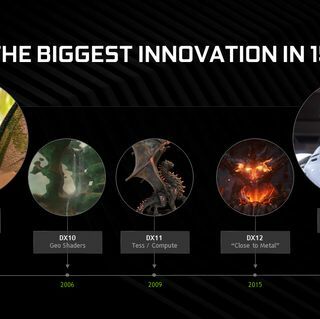 The breadth of industry adoption is remarkable — standard APIs, integration in major game engines, multiple AAA titles and support enabled in millions of GeForce GPUs, pointing to an exciting future for gamers.